with over 35 Years Of Experience! Dr. Latter has been assisting clients with gentle and efficient pain relief for over 35 years. His goal is to get you on the road to recovery, and to get you functioning & feeling better than you ever have before. So Doc, What's Applied Kinesiology? 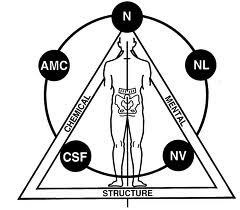 Applied kinesiology (AK) is a form of diagnosis using muscle testing as a primary feedback mechanism to examine how a person's body is functioning. When properly applied, the outcome of an AK diagnosis will determine the best form of therapy for the patient.